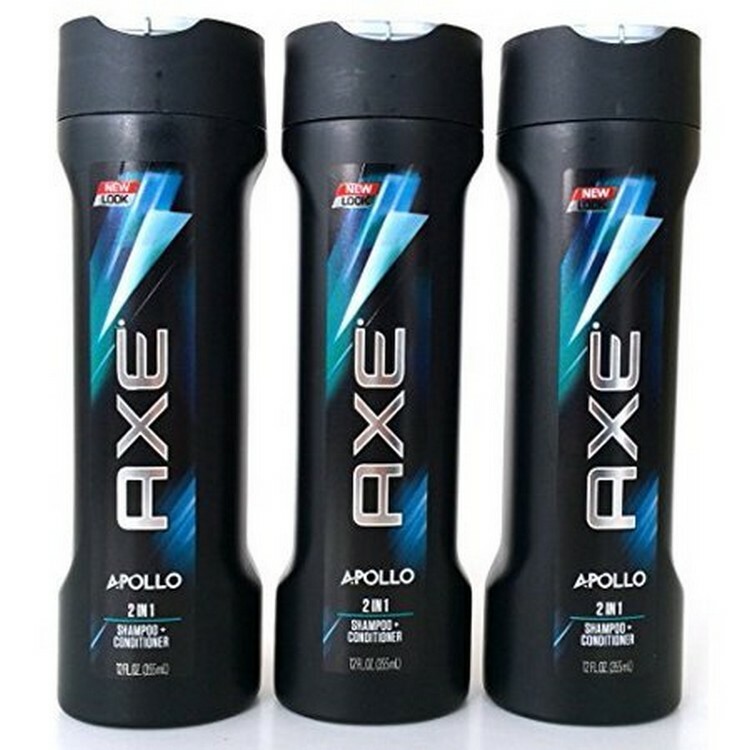 Right now you can snag a Moneymaker at Target on Axe 2 in 1 Shampoo and Conditioner. They are on sale for $3.99 and wyb 4 you receive a $5 Target Gift Card. In addition, we have a few coupons that you can stack making 4 for FREE plus a moneymaker. That’s a MAJOR stock up price and also makes for a great donation item 🙂 It’s nice to save money for ourselves, but when we can give back, BONUS!! Final Price: 4 for FREE + $1.04 moneymaker!! Today ONLY, December 2nd, head to Target or Target.com where you can snag 10% off Target Gift Cards both in store and online – up to a maximum of $300 in Target Gift Card purchases per customer! This promo ONLY happens ONCE per year and today is the day!! IMPORTANT: If you are shopping online, please note you can only do this deal once, so be sure to add all the gift cards you’d like to purchase before completing your order. The minimum Target Gift Card purchase amount is $10. **HOT** 12lb Weighted Throw Blanket – Tranquility ONLY $69.99!! I ordered one and received it last week and it is pretty amazing. You will want to HURRY because they are back in stock. Head over to Target.com where you can snag this popular Tranquility 12lb Weighted Blanket for $69.99 plus FREE shipping or FREE pick up in store. **HOT** 12lb Weighted Throw Blanket – Tranquility ONLY $59.49!! I ordered one and received it last week and it is pretty amazing. TODAY only, head over to Target.com where you can snag this popular Tranquility 12lb Weighted Blanket for $59.49. Watch your favorite shows and movies on a crisp, clear screen with this Sharp 55-Inch 4K UHD Smart TV with HDR from Hisense. 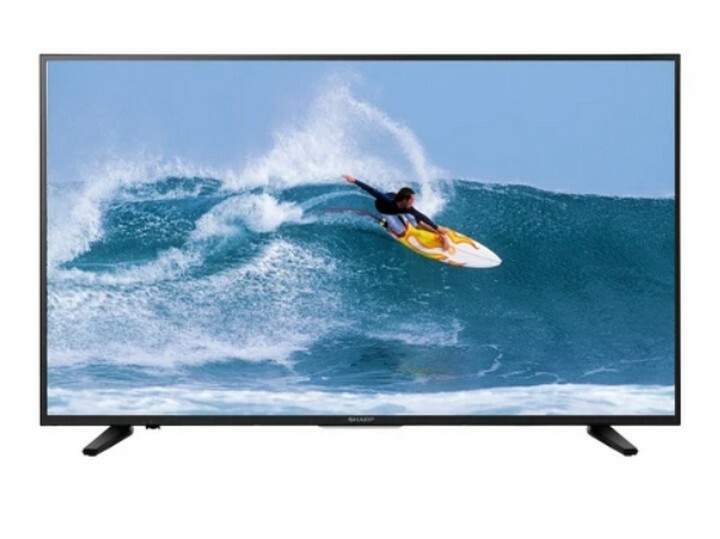 It includes two sleek legs for a streamlined setup atop your TV stand, and the screen offers 4K video resolution for a sharp picture you’ll love. It also has three HDMI ports to connect it to other systems and streaming capabilities so you can easily watch Netflix, Hulu, Prime, Youtube and more. Target Black Friday Ad 2018!! 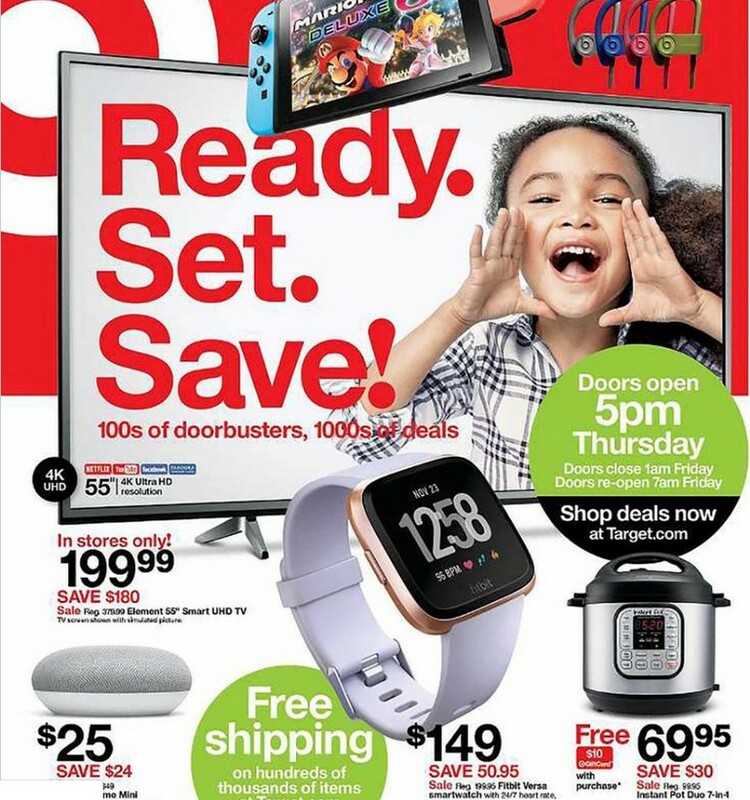 TARGET Black Friday Ad 2018 – Full Ad Scan! Also, don’t forget, Target.com is offering free shipping on all orders, with no minimum purchase necessary, for a limited time. 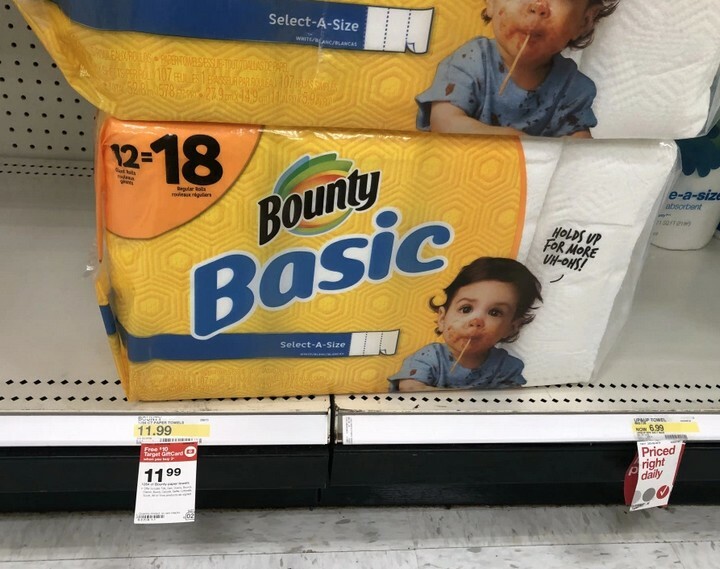 TARGET: Bounty Basic 12-Pack Paper Towels Only $5.99!! Right now you can snag an AWESOME Target Deal on Bounty Basic Paper Towels. They are on sale for $11.99 and wyb 3, you receive a $10 Target Gift Card. 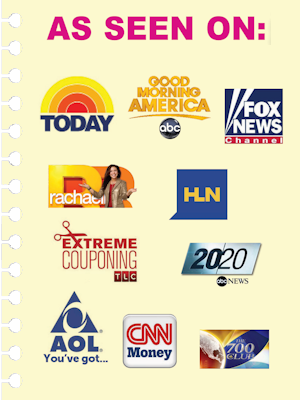 In addition, we have a few coupons that you can stack making these ONLY $5.99 each or like paying $0.33/roll. Final cost $17.97 for all 3 or JUST $5.99 each! 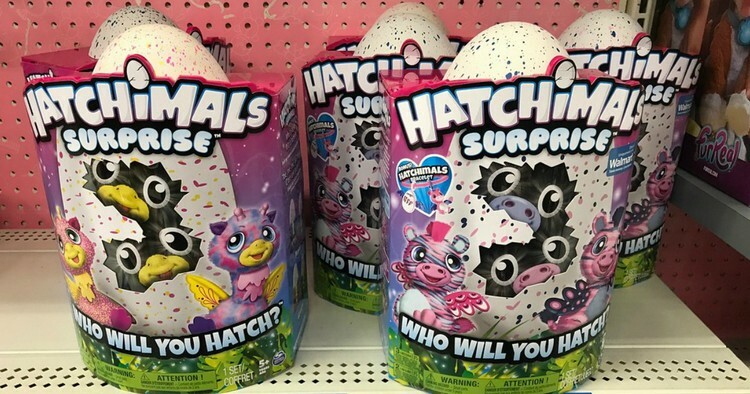 Head over to Target.com where you can snag the Hatchimals Surprise Twins Just $42.99 Shipped (reg. $70!!) after $10 off any $50 toy purchase – no promo code is needed, discount is automatically applied at checkout. **IMPORTANT** If you’re a Target REDcard holder, you’ll get an additional 5% off your purchase which drops the price down to just $40.84!! 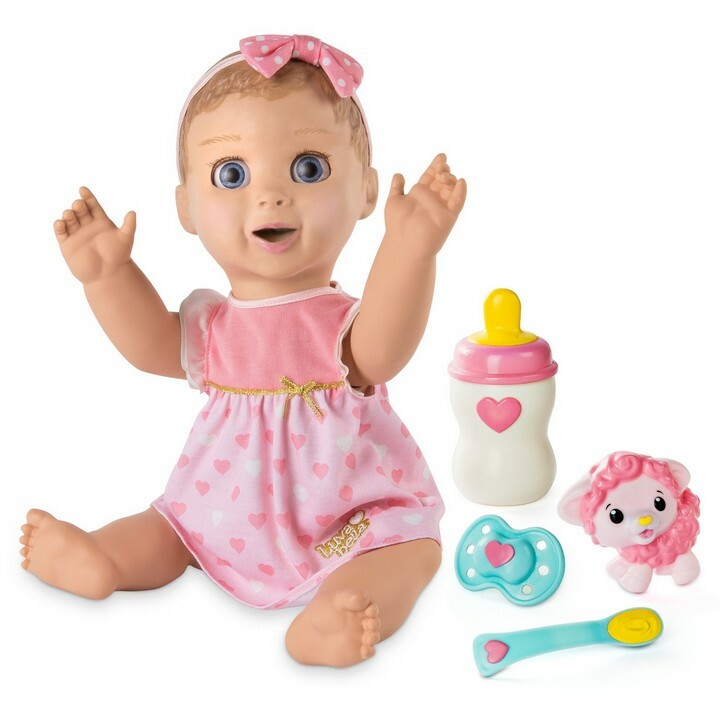 Head over to Target.com where you can snag Luvabella Responsive Baby Doll with Realistic Expressions and Movement – Brunette Hair ONLY $76.49 (reg. $99.99!!) after 15% discount. **IMPORTANT** If you’re a Target REDcard holder, you’ll get an additional 5% off your purchase which drops the price down to just $72.67!! Discover so many real baby surprises with Luvabella! From the moment she opens her eyes and giggles, Luvabella will amaze you with her true-to-life facial expressions and personality! She moves, talks and plays just like a real baby. Through touch and play she affectionately responds to your love! Cover her eyes for a game of peek-a-boo, tickle her tummy and toes to make her giggle, or place a hand on her chest to gently listen to her heartbeat. You can even hold her feet to hear her say “mama” and begin to babble! The more you play with her, the more she’ll talk! Her babble will transform into over 100 clear words and phrases! Caring for Luvabella is fun with her four interactive accessories! Use her spoon to feed her and she’ll chew with delight! If she’s not full, she may ask you for more! After her meal, help Luvabella learn new animal names and sounds with her Lamby toy! If she gets fussy, all she needs is her soother. When it’s time to go to bed after a big day of play, lull her to sleep with her bottle. Get to know all of Luvabella’s real baby surprises! 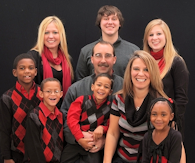 Bring love home today! • Discover so many real baby surprises with Luvabella! This adorable interactive doll will amaze you with her true-to-life facial expressions and movements! Play and interact with her in so many ways! • The more you play with Luvabella, the more she learns! As you interact with her she’ll expand her vocabulary from baby babble to over 100 words and complete phrases! • Play with Luvabella using her interactive accessories, such as the spoon, bottle, pacifier and Lamby toy. Kids will have a natural nurturing experience as they feed, burp, play and soothe their own baby. • Luvabella is made for kids aged 4+. 4 C cell batteries required (not included). 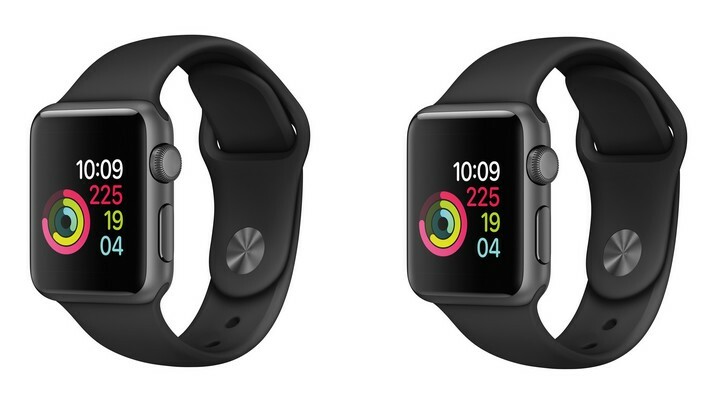 Head over to Target.com where you can snag the Apple® Watch Series 1 38mm Aluminum Case Sport Band ONLY $179.99 (reg. $249.99!) plus FREE shipping or choose in-store pickup. **IMPORTANT** If you’re a Target REDcard holder, you’ll get an additional 5% off your purchase which drops the price down to just $170.99! !